Connect your Sky, Virgin Media, DVD Player etc to 2 TVs using a 2 Way HDMI Splitter. 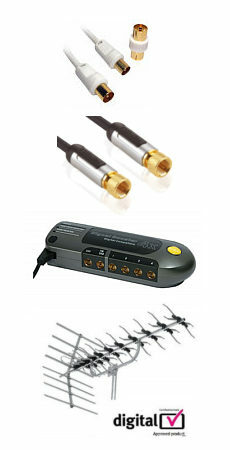 The splitter takes the input signal and provides to lossless replicas to connect to 2 TVs or screens. For longer distances the 2 way HDMI over CAT5 splitter kit can be used to send the HDMI signal via a single network cable to each room.